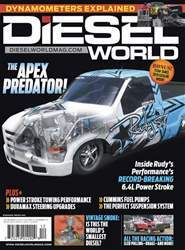 Digital Subscriptions > Diesel World > December 2018 > DEEZIL! Deezil: The diesel engine that lives in infamy! The manufacturing year of this engine is unknown, but it comes from the most infamous years. Owned by Dan Badger, curator of the America’s Packard Museum in Dayton, Ohio, it’s shown nestled in the valley of a legendary full-sized aircraft engine, the Packard Merlin. Badger, a private pilot as well as an RC aircraft modeler, keeps the engine as a curiosity piece. He’s never tried to start it, saying he doesn’t want to blow it up… assuming it would even start. 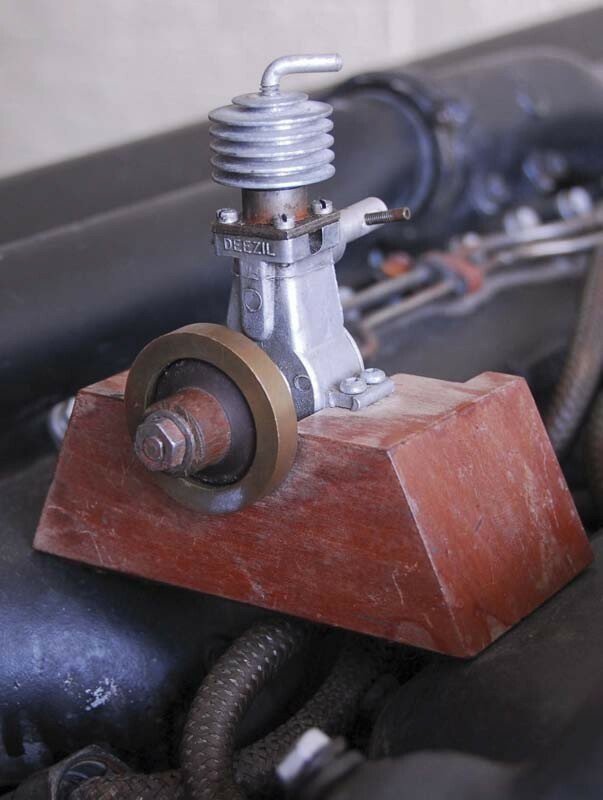 The bronze flywheel is there to simulate the weight of a propeller, leading one to conclude this engine may have actually run at some point.